Uterine fibroids which are solid non cancerous tumors found within or on the walls of the uterus may be able to impact pregnancy. If you have fibroids and are trying to get pregnant, the following information on uterine fibroids and pregnancy may be of great help to you. The National Institutes of Health has noted that fibroids can be a significant cause of infertility in women however the link between the tumors and infertility can be subtle and very complicated. Some types of tumors and not others are believed to affect fertility. The types of tumors are usually determined by the location of the tumors in the uterus. Fibroid tumors that are located in the endometrial cavity of the uterus are believed to cause the most problems with fertility. These tumors that are located in this part of the uterus are known as submucosal fibroids. The uterus is pear shaped and hollow and is about the size of a lemon and its walls that are muscular are lined with a tissue known as endometrium which is soft and rich. In a woman of child bearing age, layers are added to this lining in expectation of a fertilized egg. When fertilization occurs, this lining nourishes the fertilized egg until birth. When fertilization does not occur, portions of this endometrial tissue break down and together with the unfertilized egg are expelled through the monthly menstrual cycle. Some women who suffer from infertility do so because of a condition called Endometriosis which is when the tissue from the endometrial lining detaches itself inexplicably and instead of being expelled from the body through the monthly period, it instead continues to grow in the abdominal cavity outside the uterus. This displaced endometrial tissue also continues to bleed with no outlet for this blood since it is outside the uterus leading to the formation of cysts filled with blood. This shows that the healthy functioning of the endometrium is necessary for pregnancy so if submucosal fibroids start to grow in this lining, it can impact fertility. 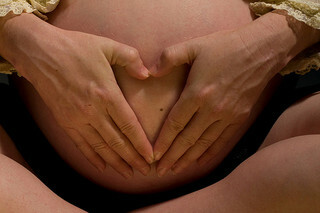 A study has shown that in women with submucosal tumors, pregnancy levels decreased by about 70%. This is why if a woman with submucosal fibroids decides to improve her fertility through IVF (in-vitro fertilization) the fertility specialists will usually recommend that the submucosal tumors be removed first. Submucosal tumors can also change the endometrium in such as way that it is incapable of nourishing a fertilized egg until birth. Instead of swelling and thickening in preparation for receiving a fertilized egg, this lining may become a smooth, cold and hard wall which is no place for a fertilized egg. Other types of fibroids that may affect a woman’s fertility are intramural and subserosal fibroid tumors. These tumors are usually found close to the fallopian tubes which release an egg each month in women of childbearing age in order to be fertilized. With the subserosal and intramural tumor being located close to the fallopian tubes, they can block or compress the tubes making it impossible for an egg to be released. This can even lead to the dangerous situation of an ectopic pregnancy when a fertilized egg starts to grow in a fallopian tube. The tumors with a decreased risk of being able to impact fertility are pendunculated fibroids which grow away from the lining and the fallopian tubes. These tumors are usually attached to the uterus by a narrow stem or stalk which limits their ability to affect fertility because they do not grow within the uterine wall or inner chamber of the uterus. Subserosal tumors may also not affect fertility but only if they grow beneath the uterus’ outer covering. They only affect fertility as discussed previously when they are close to the fallopian tube leading to blockage or compression of the tube. See Uterine Fibroids And The Uterus: Types of Tumors And Their Location for further discussion on the types of fibroid tumors. Fibroid tumors may release certain chemicals that are called prostaglandins which are hormones that can cause pain. These hormones released by the tumors can also lead to contractions of any smooth muscle tissue in the vicinity which includes the tumors which is certainly not an ideal environment to allow a fertilized egg into the uterus to grow. Except in certain exceptions, most fibroids are benign but just like cancerous tumors, the cells in the tumor will divide at a faster rate than the normal healthy cells in the body. This very fast cell division will cause the immune system to go into battle mode against this perceived “enemy” to health. This is also not an ideal environment for the fertilized egg to settle comfortably in the uterus with this battle going on. If you suspect that fibroids may be preventing you from getting pregnant, only tests performed by a doctor will be able to tell you conclusively whether these tumors are to blame. The types of tests he or she will perform to determine the impact if any, of the tumors on your ability to get pregnant include (i) an ultrasound or MRI (magnetic resonance imaging) to determine the location of the tumors; (ii) a hysteroscopy to determine whether the tumor is affecting the endometrium (uterus lining) and (iii) a HSG (hysterosalpingography) to determine whether the fallopian tubes are being blocked by the tumors. As discussed previously, uterine fibroids may lead to infertility but this is not in every case thankfully. Many women with these tumors are still able to get pregnant and deliver a healthy baby but these tumors can still cause problems during pregnancy in some women. There are quite a number of studies that have shown that there is a direct relationship between the presence of fibroid tumors and the increased rate of miscarriages. The types of uterine fibroids that have been shown to increase the risk of miscarriages are submucosal (grow within the uterine lining) and to a lesser degree intramural tumors which grow within the walls of the uterus. Subserosal and pendunculated tumors which grow on the outer layers of the uterus or out from the uterus rarely affect pregnancy and the woman may not even be aware that she has these tumors until a fetal ultrasound is performed during the pregnancy. The tumors that can lead to miscarriage usually depend on how close they are to the uterine cavity or wall or their size. Some tumors can grow out from the uterus lining and irritate the uterus which may cause it to contract and expel the embryo. Large tumors can affect the uterine environment also. Miscarriages due to these tumors usually occur during the first or second trimester. The miscarriage may even occur early enough in the pregnancy that the woman is unaware that she was pregnant. If the tumors do not lead to a miscarriage, they may still affect the pregnant woman during the pregnancy by causing severe pain. The pain may be so severe that she will need to be hospitalized. This pain may be caused by the fibroids swelling but only having access to a lessening blood supply. This pain may last for a few days to more than a week but they will not affect the baby. The pain is also thought to be the result of a tumor that is degenerating during the pregnancy because its blood supply that it needs for growth is gone and therefore starts to die off. In addition to the pain, these tumors may cause preterm contractions. Other problems during pregnancy due to fibroid tumors include bleeding and you need to call your doctor however spotting is no cause for alarm and is considered quite normal during the first trimester. The tumors can increase greatly in size during the pregnancy decreasing the space available in the uterus for the baby to grow in. This can cause problems for the developing baby such as a misshapen skull or face, the lungs may not grow fully, bowed legs, dislocated hip, etc, although many of these issues can be corrected after birth. The tumor can grow so large that it may feel like you are carrying more than one baby. This may make it difficult for you to sleep comfortably or have difficulty walking or breathing. The risk of preterm delivery due to a uterine fibroid may be increased leading to problems for the baby such as neonatal morbidity. Preterm delivery may be the result of the pain caused by the tumors during the pregnancy. Fibroids may also increase the risk of the rare condition known as placental abruption which represents the separation of the placenta prematurely. Some studies have shown that in about 50 percent of pregnancy for women with fibroid tumors, there has been an increased rate of cesarean sections performed. The increased rate of c-sections has been shown to be mainly because of the malpresentation of the baby due to the presence of the tumor. Do be aware that other studies have also shown that vaginal deliveries do still occur in most women with these tumors. The risk of post partum hemorrhage (heavy bleeding after delivery) is one of the most common complications from having fibroids after delivery of the baby. This is thought to occur because the uterus is unable to contract once the baby is delivered due to the presence of the uterine fibroids. The doctor may give the mother a rub down which is a vigorous massage to help contract the uterus or he or she may administer a drug to decrease the bleeding. In extreme cases of postpartum hemorrhage, an emergency hysterectomy may be required. Another complication after delivery though rare is an increased risk of retained placenta although this is not a significant risk of having fibroid tumors. This discussion on uterine fibroids and pregnancy is important to help you decide on the best way forward. Whether to have the tumors removed prior to pregnancy through various methods including fibroid natural treatment or go forward and hope for the best. Prev Secrets Revealed On Why Castor Oil Packs For Fibroids Are Effective! I would be surprised if there was a really high percentage of women with fibroids who did not have a C-section – would be difficult for sure. There certainly would be risks if the patient didn’t avoid pregnancy before dealing with the fibroids, but you provided some really helpful info for the pregnant woman. Thanks !